Please follow the remaining stops, tour schedule can be found by clicking on the event banner above. 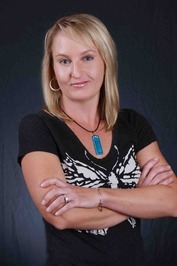 Jennifer is fast becoming a very popular Author within the YA Contemporary Romance genre. I've heard of her work in the YA blogging community quite a lot recently. 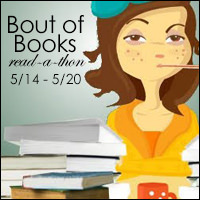 Levitating Las Vegas and Such a Rush are two of her other books that I'm dying to read! 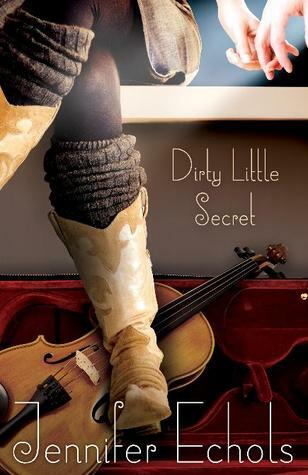 I'd like to welcome Dirty Little Secret's Author, Jennifer Echols here today as she tells us a little bit about herself and of course her soon to be released novel, Dirty Little Secret. Read till the end for your chance to win a finished copy. What are your inspiration for Dirty Little Secrets? I grew up listening to my dad play banjo, so I have bluegrass music in my blood. I also spent a lot of sad years trying to get a novel published. (This was before e-books and self-publishing!) I know what it’s like to be a creative person denied the chance to express yourself. Those two ideas came together in Bailey, the expert fiddle player who’s prohibited from playing in a band. There are many in-depth descriptions of musical gigs etc in Dirty Little Secrets, what kind of research did you do? I’d already imagined most of the action in the book, but I did travel to Nashville and go to the bars on Broadway to make sure I’d gotten everything right. It really is as fun as I described! Are you musical at all? If so, which instrument do you play or do you sing? I grew up taking piano lessons. In middle school and high school band, I played trumpet, alto saxophone, and oboe, and I was the drum major (meaning I stood in front of the marching band and conducted the music). I taught myself to arrange music, and the marching band and jazz band played a few of my pieces. I wanted to be a high school band director and compose music for band, so during college I was a double-major in music education and music composition before I decided to change direction and switch my major to English. Your books have won many, many Awards, what do you think makes your books stand out from the rest of the YA/NA novels around? There’s such variety in YA and NA novels. I always try to write the book I want to read. If someone else enjoys my books, I figure we have similar taste! 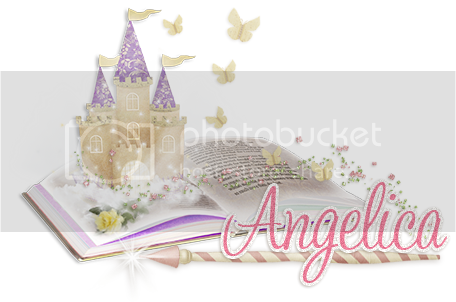 You are stranded on an island, you can take ONE of your characters from ANY of your books, who would you take and why? I have been reviewing my heroes, considering which one would be most likely to figure out how to get us out of there...but I think the person with the best shot would be my practical and unstoppable heroine Leah from SUCH A RUSH. I mean, I’d rather be stranded on an island with a hot guy, but I’d really rather not be stranded at all, and we have to think about the future here. 3 Things excluding pets and people that you would grab in the event of a house fire? My laptop with all my works in progress on it, and... Okay, how big is the fire? I’m having a hard time thinking of anything else I’d take with me. It’s just stuff, and I am concerned about smoke inhalation more than the fire itself. Smoke inhalation is what kills people first. Maybe I am considering this too seriously? One of my prized possessions (I think that’s what you’re getting at) is my late grandfather’s grand piano. It’s a 1956 Baldwin in pristine condition. They don’t make pianos like that anymore. But we had to cut off the railing on the front porch to get it into the house in the first place, so I don’t think I can take it with me in case of fire. What's next for Jennifer Echols? I have an adult romantic comedy about a country band coming out with Pocket Books on October 29. It’s called PLAYING DIRTY. I also have a series of three YA romantic comedies with Simon Pulse coming out in 2014 and 2015. The series is called The Superlatives. At the beginning of senior year, a class at a coastal Florida high school selects a girl and a guy to be photographed for the senior superlative Who’s Who categories: Most School Spirit, Best Looking, Most Athletic, and so on. For some of these students, the label will change the way they view themselves and alter the course of their lives. The first book is called BIGGEST FLIRTS, and it’s coming out in May 2014. I’m really excited about this new series! Loooove Jennifer Echols, and am super excited to read this book. :o) Thanks for sharing the interview. And the blog tour.